2017: Off To A Great Start! Ayuda soared to new heights in 2016. Together we surpassed our 2016 goal by more than 25% through 1,149 sterilization packages across 59 spay/neuter clinics. The team is strong and ready to meet our goal for 2017: 1,250 sterilization packages. Each package includes surgery, a combo vaccination, a flea/tick treatment, and an internal parasite treatment. With renewed agreements in 5 major municipalities in our region, the Ayuda team was back at work at the beginning of the new year. At the time of this publication (Feb 11) we have already completed 7 clinics and 167 spay/neuters for 2017. Ayuda intern Karla on the air presenting Humane Education. Each of the mayors who signed our agreement have first and foremost committed to not use any form of poison for population control. 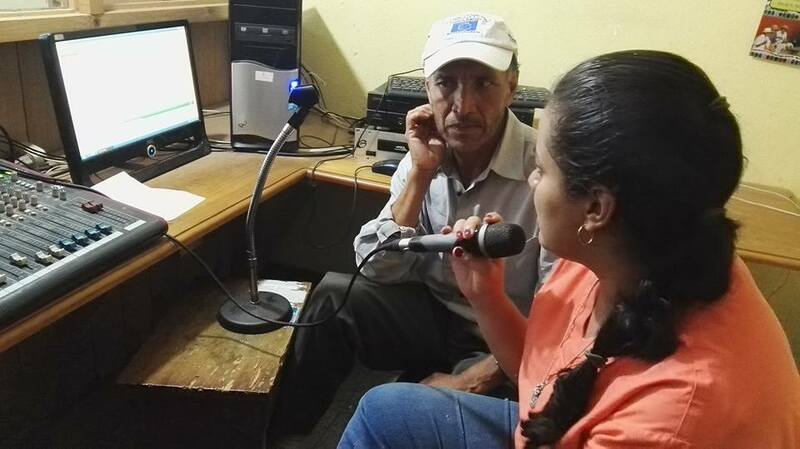 They also provide a clean space with running water and electricity for the Ayuda medical team to use along with local advertising through public broadcasts on radio, television, and village loud speaker systems. In return, Ayuda provides monthly sterilization clinics and follow up, such as booster vaccinations, mange, and parasite treatments. Emergency services are addressed case-by-case and admitted to our program, as funds permit. When we are fortunate to have donated IDEXX diagnostic test available, we monitor which diseases are prevalent in our area, such as heartworm, erlichiosis, giardia, and others. We are also pleased that several of the local health departments continue to provide rabies vaccines during our clinics days. Together we offer a substantial service aimed at reduction of overpopulation and the spread of diseases. Melanie is one of our favorite volunteers. 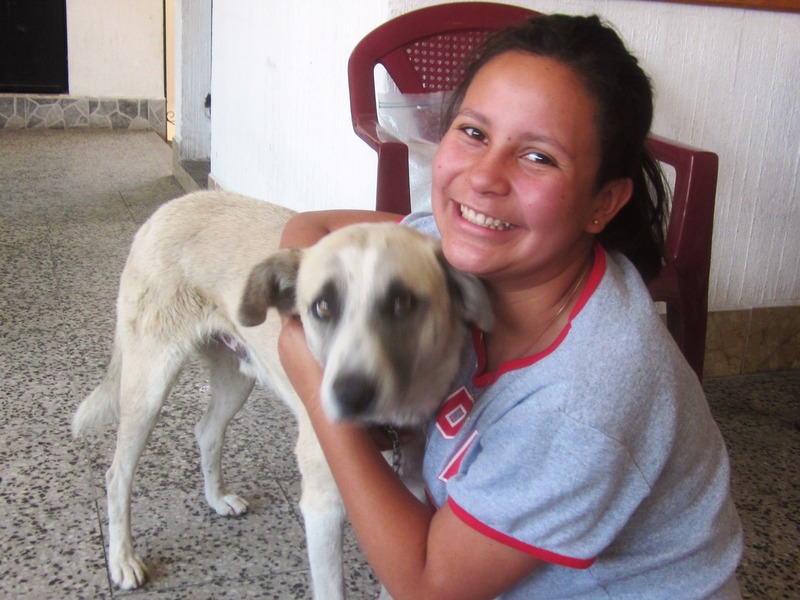 Ayuda volunteers continue to pick up roaming community dogs and cats in advance, arrange post-op foster care, and then return them to the site of pick up. Continued maintenance, such as food and booster vaccines are also provided to these members of our family. We actively seek permanent homes for the truly homeless dogs and cats. Foster homes are often the intermediate step towards adoptions. This helps to keep locals aware of the problems our animal friends face and keeps them involved in the solutions. We strongly believe in coordinating adoptions in our local area. Volunteers then work with the new families to ensure proper care of their pet. Since our humble beginning in 2009, Ayuda has garnered the reputation as a trusted community asset by locals, ex-pats, and travelers to our beautiful Lake. Acquiring the signed letters of support was a major milestone in our effort to create the public/private partnership to ensure the longevity of Ayuda’s philosophy. We have always felt it was best to stay very focused on the inherent link between human and animal health. Dieter assists Dr. Isael as he completes his 6 month internship with Ayuda. Looking on is Pablo, who will be replacing Dieter. With our philosophy in mind and with the help of seed money from the Darlena Lake estate, we began an internship program open to final year veterinary students from the University San Carlos. 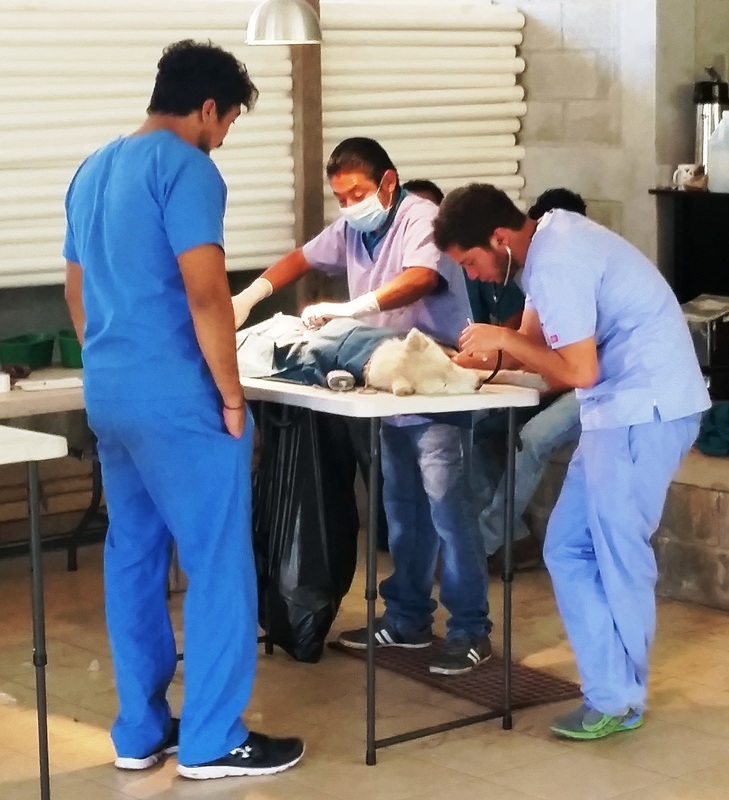 Students are required to fulfill a 6-month program under the supervision of licensed Guatemalan veterinarian prior to receiving their diploma. This effort goes hand in hand with our desire to create long-lasting, successful partnerships between government agencies, the University, and private donors. While all participants are asked to donate what they can towards the care of their pet very few can offer Q300 ($40) which is Ayuda’s average cost per package. Our volunteers are on the ground every day! Please donate. Help us keep going strong! Previous postWe Are So Close! Next postParvovirus Is Hitting Hard!